It’s with threads of gold, the threads of her hearth, that she sewed, stitch by stitch, her happiness. Seaking a dressmaker to create / modify a garment, needs trust. And to trust, one must know his interlocutor. 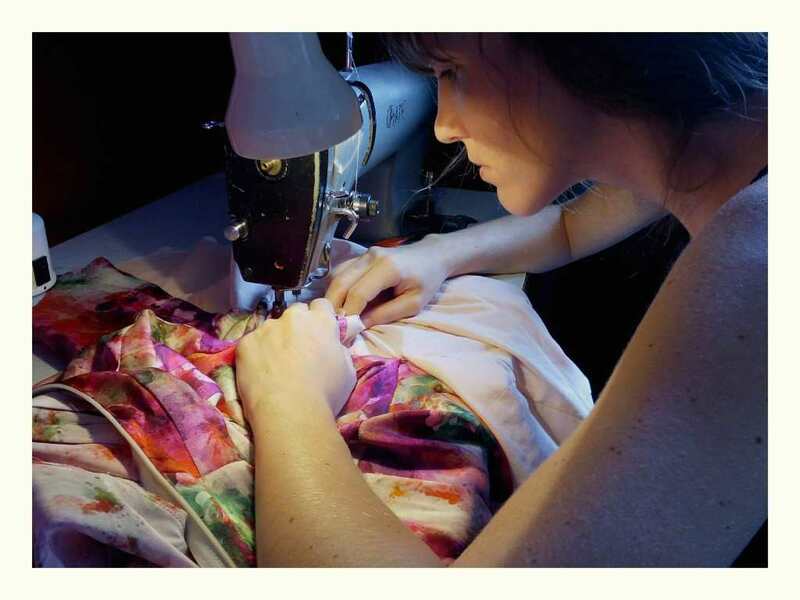 I’m Aglaé, and it is in my studio, located in the beautiful countryside of St Malo, that I make the clothes and accessories that will adorn you. Why the countryside and not the city? Because it is surrounded by nature and its quiet harmony, that I find inspiration and creative energy. After a Degree in Theatre, I got my National Vocational Qualifications in upholstery by the Compagnons du Devoir. There for I worked in a great tapestry workshop on Paris, I gained a decisive first experience in sewing. Thereafter I validated my National Vocational Qualifications in Couture within the School of Parisian Couture. In the meantime I worked for the Opera Garnier, which brought me experience and knowledge in the area of clothing. It was after this, rich with learning and creative imagination, that I decided to be freelance. I create mainly for women. Whether it’s tailor-made, modify your favorite clothes, or create with you the clothes of your dreams, everything is possible. I will listen to you, understand your desires and achieve them. The key is communication to satisfy you fully. I want you to feel and be yourself, comfortable and beautiful, radiant as a sun. We will search together on how to highlight what you like about yourself, so that the world can see you at your best. If you feel good, that’s what you radiate around you. And if I can attend to your well-being, it is with pleasure!